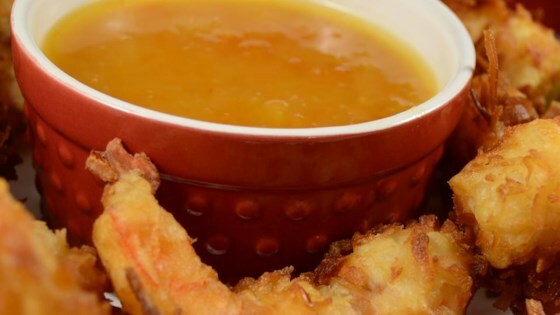 "This is our favorite dipping sauce for coconut shrimp. The heat from the horseradish combined with the sweet apricot and citrus pineapple flavors makes this a real slam dunk! This freezes well." See how to make a simple sweet-and-sour peach sauce. Also good smeared on leftover pork sandwiches.